If you’re considering a customer experience transformation, CX audit or CEM programme, make sure you use an independent consultant. Customer experience management transformations can be large projects that cut across most your business. I would always advocate a pilot programme; however, the major ROI gains will only happen when you fully adopt CEM. To enable a CEM pilot that is capable of expansion and to ensure it works, an independent consultant will be invaluable. 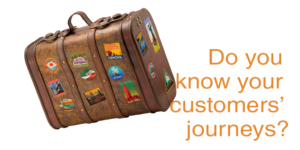 CX audits and customer journey maps reflect reality, not what colleagues want to portray. Change recommendations always based on customer experience insights. Avoids the inter-departmental rivalries prevalent with in-house projects. Independent consultant will develop cross-functional teams but deliver common direction for them more efficiently. Use an independent consultant with experience of training to facilitate transfer of CEM knowledge to in-house managers throughout the project. Business is unlikely to have the necessary experience in-house to deliver CX transformation and staff training. Ensure that CX can be managed without recourse to external independent consultants in the future. Customer experience projects always impact the whole business, so senior team buy-in will always be needed. An independent consultant will deliver credibility at this important stage, more so than, say a middle manager. Once underway, customer experience management and transformation programmes involve many staff across most departments. The independent consultant adds credibility and gravitas to the staff when seeking their involvement. Independent consultant is incentivised to deliver positive ROI to win more CX business. Customer experience transformation programmes tend to deliver a mix of quick wins and slower-burn gains – both are important. 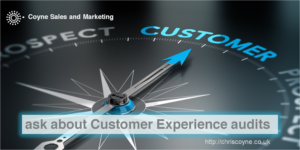 Within the arena of customer experience, I’m an independent consultant and provide CX audits as the initial service. These reveal customer journeys as they are now. Audits are followed by CEM consultancy to set the future vision and training to empower your staff to get there. My career encompasses marketing and sales leadership at board level in B2B and consumer markets. In addition, I’ve also owned and sold (to a client) a telemarketing agency. I’ve been a Director of CRM at a UK telco and CEO of an offshore contact centre. Hence, this demonstrates first-hand knowledge and an ability to dig into the detail of customer journeys at all types and sizes of business. Finally, contact me now for more information about customer experience, CX audits, customer journey maps, CEM transformation and CX training.